TEAM is an acronym for “Training Excellence Assessment Modules,” which perfectly describes our goal: a progression-oriented titling program that emphasizes excellence in training over training for any particular sport. Each TEAM level adds complexity for the dog-handler team in four areas: the difficulty of the skills being assessed, the potential challenges in the form of food and toy distractions, the challenge of the actual testing location, and finally the quantity of reinforcement allowed during the test. The dog-handler team is presented with a wide range of interesting foundation skills drawn from a variety of dog sports right from the start! 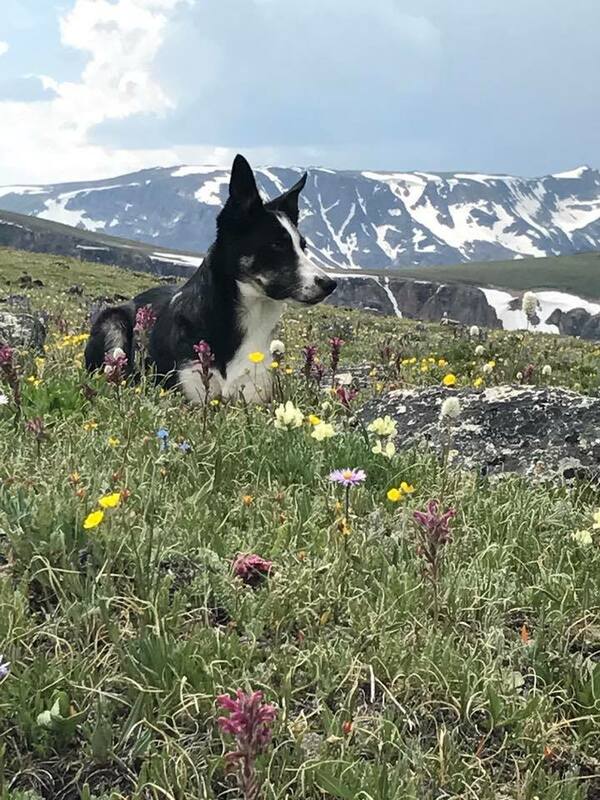 TEAM also provides an attractive option for handlers who cannot travel to competitions because of handler nerves, cost, a dog that is poorly suited to the trial environment, or other reasons. By using a video submission process, there are no geographic barriers, and we welcome teams from all over the world to play! Get training tips, the latest news, and more each month. Sign up for the TEAM newsletter and have it delivered to your email! Here’s an example of how the TEAM program works with the skill of scent work: For Level 1, the dog must indicate the correct article (which may contain food) among three identical ones, with the handler sitting by his/her side. For Level 2, the dog must indicate the correct article (which no longer contains food) from among four articles. No scent work is required for Level 3, but at Level 4 the dog is expected to stay while the handler places the objects, retrieve the scented object (among three other identical ones placed ten feet away), and then return to the handler and formally present it. Eventually, the dog will be asked to perform the entire exercise with varied articles at a greater distance and without any reinforcement available. The specific skill areas that are assessed in TEAM include: engagement and focus, heeling, recalls, fronts and finishes, distance work, targeting, jumping, retrieving, scent work, stays, and impulse control. 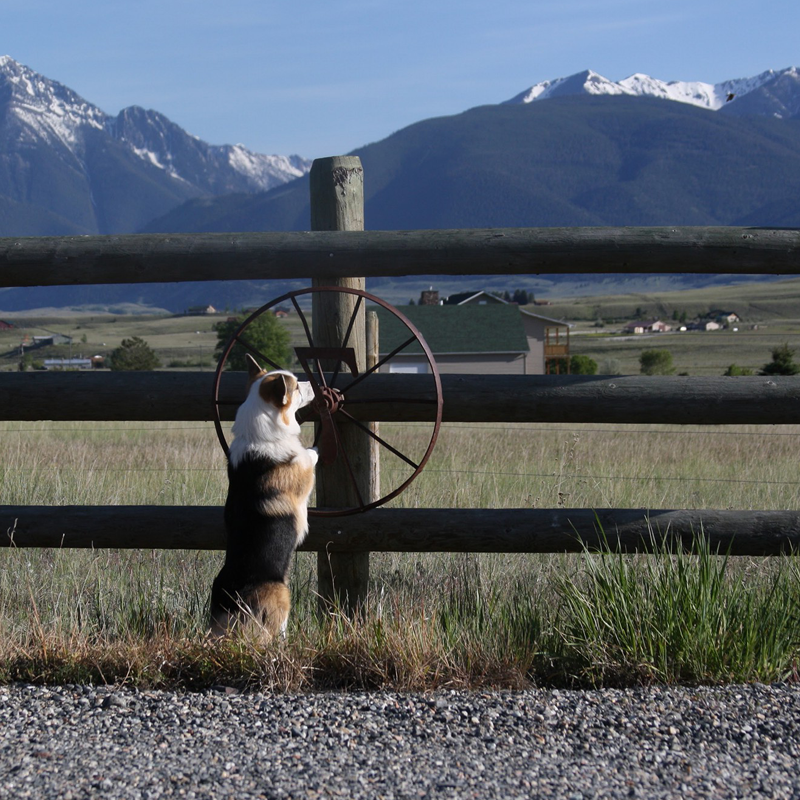 All of the components of excellent training can be introduced very early in a dog’s career, and indeed, there are many excellent reasons to do so. Not only is it more fun for the dog-handler team, it gives the dog a longer period of time to master complex tasks. 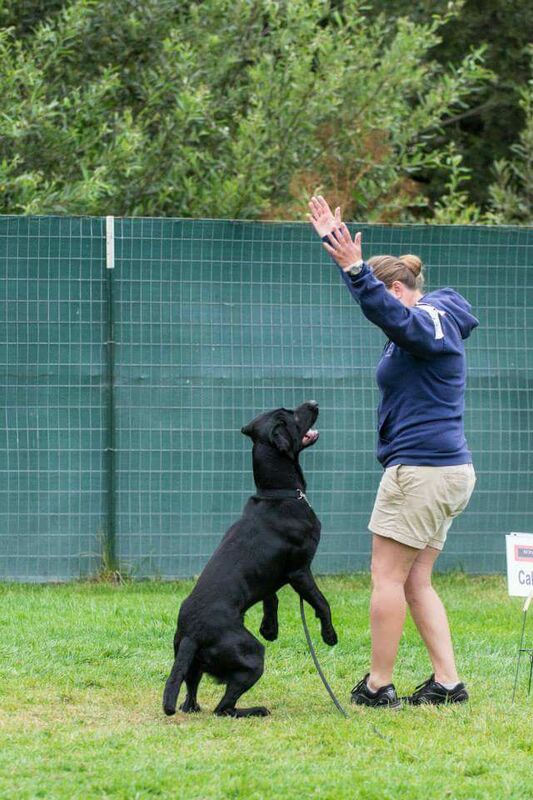 We believe this approach creates an incentive for handlers to remain focused on excellent training rather than preparing for “entry level” titles that are far from entry level! Focus on training excellence with the TEAM program! In Levels 1-3, TEAM emphasizes high-quality components over poor-quality chains. This ensures that trainers demonstrate their ability to correctly teach small components of precision behaviors before they build chains with those pieces. At levels 4-6, the focus shifts to more complex behaviors with an emphasis on cue discrimination and distance work, and the requirements for precision are relaxed. As a result, a team that works through Level 6 should possess all of the training skills to succeed in any obedience organization anywhere in the world! TEAM has not duplicated any other organization’s finished exercises. Instead, we created a program that tests the handler’s ability to apply the principles of excellent training under challenging conditions and across a range of skills, regardless of preferred dog sport. We want you to succeed! To assist with that process, we provide video examples of the correct execution of each of the various exercises and handlers are strongly encouraged to submit only passing videos! If you cannot move quickly and smoothly through the level then stop testing and get back to training! We invite you to take a careful look at our levels. We have worked hard to design a challenging program that both promotes excellence in training and provides plenty of entertainment for the team too! Then register your dog and give it a try! If you’d like support in your training journey, join the Facebook group: Fenzi Team Players. There you will find more information, a map of other trainers who are also playing in TEAM, and tons of support as you work through the exercises! Ready to submit a test or register your dog? 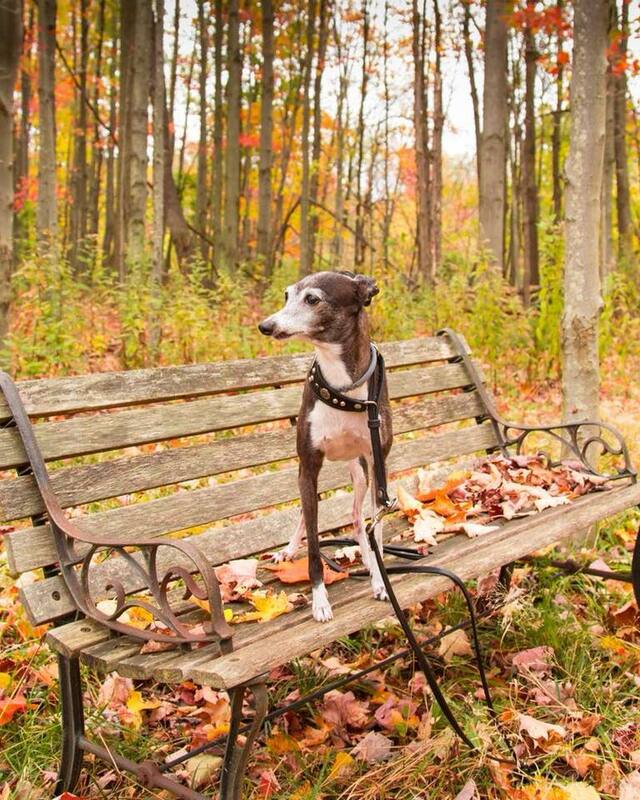 Create an account, add your dog, and then you can submit your video for review. Judges will examine each exercise carefully, and give each a “pass” or a “not yet” rating, and share their feedback. Check out these helpful articles! The goal is to teach your dog to back away without any forward motion from the handler into the dog’s space. This skill is extremely useful to add into other exercises where the dog has to perform at a distance. Marching Positions – Get it Straight! 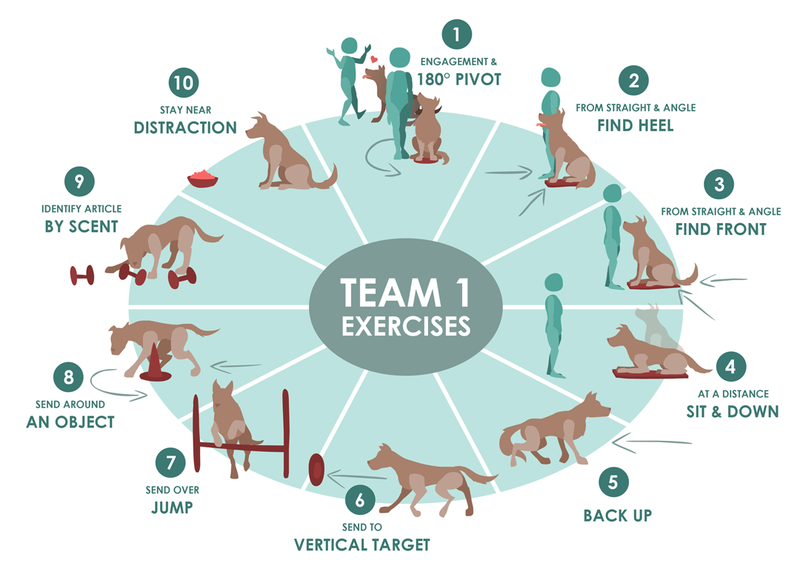 In Level 2 we test our dog’s understanding of their cues — heel, sit, down, and stand — under distraction by adding in handler motion. Denise put together a short video to help you train this skill.